SAN FRANCISCO (KGO) -- Oracle CTO and Executive Chairman Larry Ellison wasted no time announcing a new set of cybersecurity products, including an automated database that can patch itself on the fly. It's a big shift from how companies do things now, which is to schedule downtime to make a fix. "That doesn't work. Doesn't work. Didn't work at Equifax," said Ellison. This is Oracle Openworld's 21st year and like clockwork, motorists in San Francisco's South of Market are encountering the traffic jams that go along with it. The closure of Howard Street between 3rd and 4th Streets are creating major delays. "It's horrible. I'm just trying to get to work," said one motorist. But what's bad for motorists is a boon for nearby businesses. Sixty-thousand conference attendees have converged on San Francisco. Brazilian steakhouse Fogo de Chao says business is already up by nearly a third. "We do have conventions all the time, but conventions don't necessarily take up the whole block and build a whole city. And, it's really exciting because the people who go are also really excited to be there and then they just share that energy with us," said Stuart Furtwangler, a customer service representative with Fogo De Chao. Thirty percent of conference attendees come from overseas. Cecilia Backa of Sweden is back to Openworld for the second time. "Experience sharing of course, to see what others have done and also see what's coming in the coming years I think that's useful," said Backa. But it's not all shoptalk. 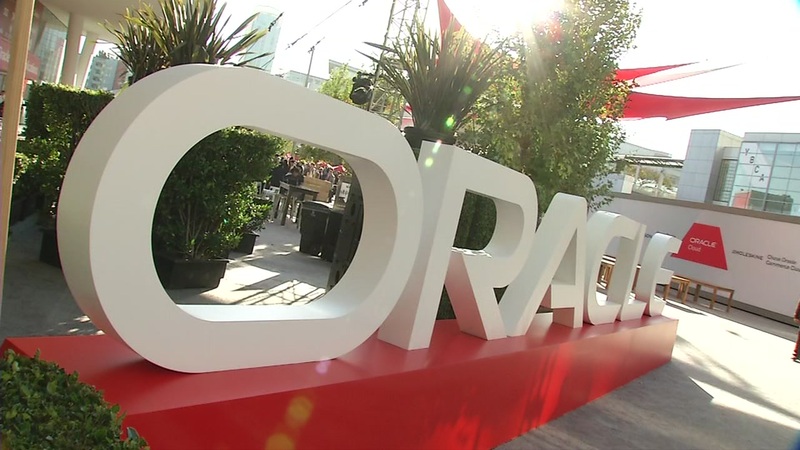 Oracle Openworld mixes business with pleasure. On Wednesday, conference attendees will be treated to a concert at AT&T park featuring The Chainsmokers and Ellie Goulding.